A friend shared this link with me-a story about Russia and Ukraine both trying to claim ownership to the same fairy tales: "Russia and Ukraine in a bun fight over Fairy Tales," by Steve Rosenberg. From the article: "After all, towns and cities which can claim to be the birthplaces of popular fairy tales can expect to attract more tourists and make more money. "This summer we'll see the first ever Fairy Tale Tours in Russia," predicts Alexei Kozlovsky of the Association of Russian Communities, the organisation which has produced the map. Russia, of course, is not the first country trying to cash in on folk stories. The German Tourist Board has put together maps with Fairy Tale Routes that will guide tourists to Rapunzel's tower, Hansel and Gretel's forest and into Hamelin to meet the Pied Piper. Russia too seems to have realised that fairy tales can be financially rewarding. This summer a Disneyland-style holiday park is due to open in Ulyanovsk region dedicated to that famous runaway cakeman, Kolobok." "How a Husband Weaned his Wife from Fairy Tales"
There was once an innkeeper whose wife loved fairy tales above all else and accepted as lodgers only those who could tell stories. Of course the husband suffered loss because of this, and he wondered how he could wean his wife away from fary tales. One night in winter, at a late hour, an old man shivering with cold asked him for shelter. The husband ran out and said: "Can you tell stories? My wife does not allow me to let in anyone who cannot tell stories." The old man saw that he had no choice; he was almost frozen to death. He said, "I can tell stories." "And will you tell them for a long time?" "All night." So far, so good. They let the old man in. The husband said; "Wife, this peasant has promised to tell stories all night long, but only on condition that you do not argue with him or interrupt him." The old man said; "Yes, there must be no interruptions, or I will not tell any stories." They ate supper and went to bed. Then the old man began: "An owl flew into a garden, sat on a tree trunk, and drank some water. An owl flew into a garden, sat on a tree trunk, and drank some water." He kept on saying again and again: "An owl flew into a garden, sat on a tree trunk, and drank some water." The wife listened and listened and then said: "What kind of story is this? He keeps repeating the same thing over and over!" "Why do you interrupt me? I told you not to argue with me! That was only the beginning; it was going to change later." The husband, upon hearing this-and it was exactly what he wanted to hear-jumped down from his bed and began to belabor his wife: "You were not to argue, and now you have not let him finish his story!" And he thrashed her and thrashed her, so that she began to hate stories and from that time on forswore listening to them." In 1928, Vladimir Propp published his method for analyzing folktales. He determined that the events of tales could be reduced to 31 essential functions, and each individual tale is simply a rearranging of these functions. A Lack - Violation caused by sisters leads to lack of husband. There are some helpful things in breaking down a tale in this way. We do see some of the common fairy tale formulas-such as the Interdiction-Violation-Consequence. In fairy tales, EVERY time someone is told not to do something, it almost invariably happens. This can also be used to compare tales and tale variants to each other, which Larry DeVries does in his essay, "Literary Beauties and Folk Beasts: Folktale Issues in Beauty and the Beast" which can be found in Betsey Hearne's "Beauty and the Beast: Visions and Revisions of an Old Tale." However, there are problems too. DeVries points out the need to distinguish more between characters who fulfill each function. For example, we see this analysis from Beauty's point of view, but what about the Beast's? Beauty's lack of husband is equivalent to the Beast's lack of a disenchanting wife, but this isn't mentioned. I personally don't know how I feel about all the implied Lacks-in some fairy tales, parents mourn the fact that they don't have a child-that's a functional Lack. Beauty doesn't express the wish for a husband-but Propp does acknowledge this by the parenthesis. Essentially, I have issues with reducing stories into formulas. Later on in the essay we see this formula: "actor 1-action 1 = actor 2 - action 2 : actor - action 1 + action 2" (representing plot from a different fairy tale type, 930). I can say this as someone who actually enjoyed math in school, but isn't that kind of infuriating? It takes the beauty and complexity out of the story and doesn't even really make sense. Surlalune referenced an online article, Richard E Grant unravels origins of The Arabian Nights, which piqued my curiosity. It's a very interesting article on the history of the Arabian Nights; however, as is often the case with fairy tale history, it seems the only conclusion we can come to about origins are that they are "debatable." Such is life when dealing with stories that were passed down by word of mouth for who knows how many years. In a way it's disappointing that we can't learn more about our favorite tales, but at the same time it adds to the mystery and enchantment. These tales seem to grow out of human history and have become a part of mankind-they are probably the most accessible link we have to our earliest ancestors. That in itself adds to the appeal, in my opinion. But how trustworthy are any of our versions of the tales? "Trying to pin down the origin of stories that have passed down orally is akin to juggling with water. The tradition of oral storytelling and embellishment down the centuries makes perfect sense when you consider that tribes of nomadic people travelled across North Africa to the Middle East and beyond to India, putting storytelling centre stage around camp fires in the evenings. Anyone who has ever played that game where one person whispers the beginning of a story into someone else's ear and they then have to repeat and add to it, will know how a story evolves and expands very quickly. Likewise, the oral tradition of repeating the stories that make up The Arabian Nights, told by different people over a period of 10 centuries, will be hugely variable." What he says is true, and yet some people put more faith in story tellers from the past. For example, the Grimms claimed that their sources could tell the same story twice and the wording would be exactly the same both times (I think I read that in this book.) It might sound incredible, but memorization was much more valued in other cultures than it is today. Victorian children would regularly be given passages to memorize as their homework. In illiterate societies, memorization is the only way to retain and pass on information. I remember reading a book about Pocahontas when I was little, in which she tells John Smith that, if her father Powhatan spoke for three hours to his messenger, the messenger could perfectly repeat the entire message to its intended recipient. Memorization is a skill that can get better with practice, as any actor will tell you, so it's possible that the stories were retained much better through the centuries than we might imagine. At the same time, it's obvious that with all the variations on each fairy tale that we know of today, somewhere along the line, the tales did change-and authors are still playing around with the themes, challenging and questioning old patterns. 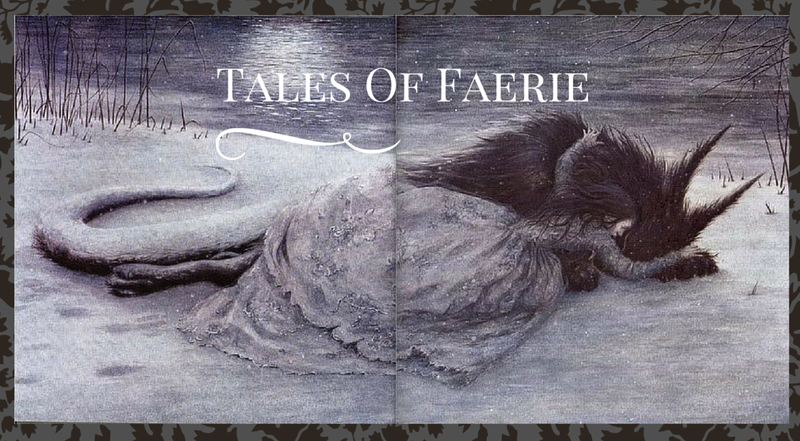 Sadly, though writing down the tales helps us today to have a better idea of the tales' history, it gives way to the belief that fairy tales have a definitive "original" version, which is not the case at all. 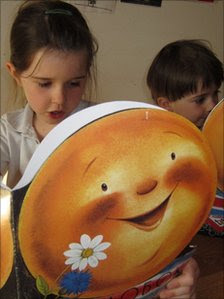 The article also says: "The more violent and sexual aspects of the stories were watered down in Galland's translation, and the panto versions we are so familiar with from childhood are testimony to this self-censorship." So, even literary versions can't be trusted-this certainly applies to the Brothers Grimm as well. Do you ever feel that, the more we learn, the more we realize we don't know anything? I heard of the Annotated Alice through the blog Inside a Black Apple and immediately went to my library to get it. Note-initially I accidentally got More Annotated Alice, and I definitely recommend reading the regular Annotated Alice first. Or, you could read the Definitive Edition and get the best of both worlds-all annotated by Martin Gardner. It is a common supposition that Lewis Carroll was on opium when he wrote the Alice books (in fact, if you type "was lewis" into Bing, the first option that comes up is "was lewis carroll on drugs"). 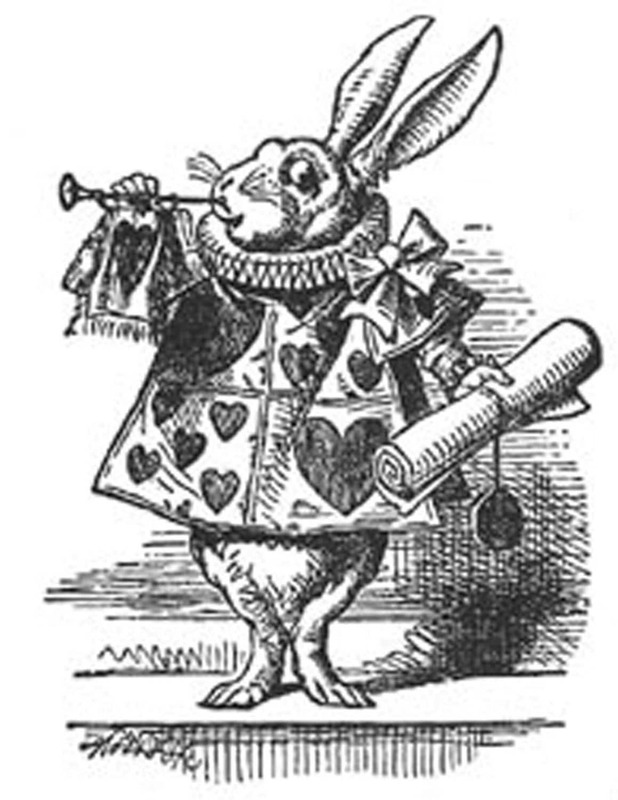 There are definitely dream-like qualities in the books; sudden changes of scene, episodes that seem random and unconnected, etc., but none of the books I've ever read on Alice or Lewis Carroll mention drugs. His writing is full of inside jokes between himself and the Liddell sisters, or amusing jokes for other mathematicians, logicians, and philosophers. 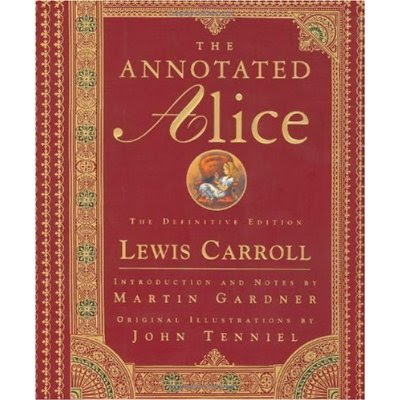 Carroll was a very intelligent man, and if he did do drugs, I'm sure he couldn't possibly have written the Alice books while under the influence-they're too intricate. For example, "Through the Looking Glass" represents an actual chess game that follows all the rules of chess. Most of his poetry are parodies of well-known poems and songs from his time. 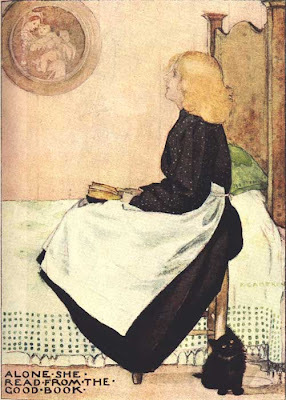 The story originated as tales he would tell the Liddell sisters while out boating, off the top of his head-apparently Alice was fond of nonsensical tales and requested them. Given that, it's no surprise the stories might appear a little disjointed or strange. Drugs didn't play a part in the writing of these books, but if you've heard rumors of Carroll's unhealthy interest in little girls, that much is true. I don't think he ever actually molested anyone, but it's quite clear he had complicated relationships with his young child friends...in the preface to "More Annotated Alice" Gardner tells us that four photographs of naked little girls were found in Carroll's possession. Caryl Hargreaves, the son of Alice's real-life counterpart (Alice Pleasance Liddell) believes Carroll was in love with his mother, and there are indications that Carroll had hinted to Alice's mother about future marriage. His interest in little girls, though, seemed to wane as soon as they hit puberty-and he seemed to detest all little boys. I personally found the book absolutely riveting, but it was funny to see people's reactions when they asked what I was reading. You could tell they were thinking, "Oh great, how can respond to this politely?" But anyone reading this blog would probably find it interesting as I did. There are all sorts of interesting tidbits-some only speculation, of course, but interesting nontheless. I had no idea there were so many Lewis Carroll societies and publications, or people that consider themselves to be "Carrollians." Rather appropriately, Emily Martin of the above mentioned blog has been doing another series of Alice-themed characters. 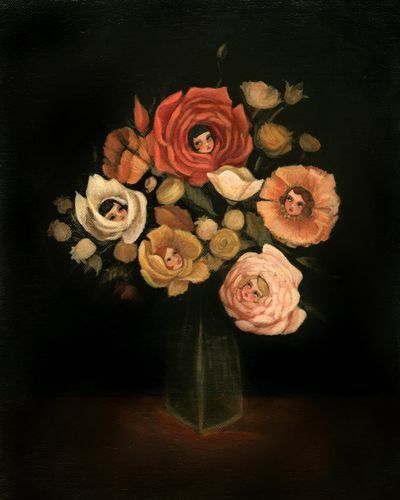 Below are the White Rabbit, Tweedledee and Tweedledum, the Mad Hatter, the Chesire Cat, the Red Queen, Alice herself, and "Still Life with Live Flowers" (based on the garden of talking flowers.) The above pictures are from the original book, by John Tenniel. From wikipedia: "Ravel originally wrote Ma mère l'oye [Mother Goose Suite] as a piano duet for the Godebski children, Mimi and Jean, ages 6 and 7. Ravel dedicated this work for four hands to the children (just as he had dedicated an earlier work, Sonatine to their parents). Jeanne Leleu and Geneviève Durony premiered the work. "Both piano versions bear the subtitle "cinq pièces enfantines" (five children's pieces). The five "pieces" were as follows: I. Pavane de la belle au bois dormant Pavane of Sleeping Beauty Lent II. Petit Poucet Little Tom Thumb / Hop o' My Thumb Très modéré III. Laideronnette, impératrice des pagodes Little Ugly Girl, Empress of the Pagodas Mouvt de marche IV. Les entretiens de la belle et de la bête Conversation of Beauty and the Beast Mouvt de valse très modéré V. Le jardin féerique The Fairy Garden Lent et grave (I like the orchestrated version of this best-this video is pretty magical as well) More from wikipedia: "Sleeping Beauty and Little Tom Thumb were based on the tales of Charles Perrault, while Little Ugly Girl, Empress of the Pagodas was inspired by a tale (The Green Serpent) by Perrault's "rival" Madame d'Aulnoy. In this movement, Ravel takes advantage of the pentatonic scale. Beauty and the Beast is based upon the version of Jeanne-Marie Le Prince de Beaumont. The origin of The Fairy Garden is not entirely known." The work was later expanded and orchestrated. As far as I know, this is the only classical version of Beauty and the Beast done by a well-known composer. Don't let the fact that this was composed for children fool you-the movements may be simple but they are truly beautiful and masterfully done. The Red Shoes: Encouraging judging or discouraging materialism? 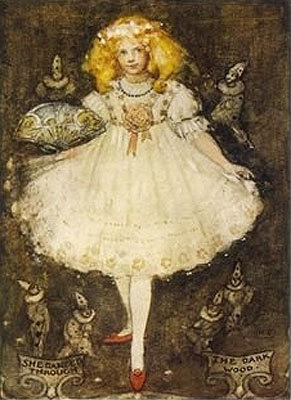 "The Red Shoes" by Hans Christian Andersen is a fairly standard tale in which a girl is punished for vainly wearing red shoes. After going from poverty to a more comfortable situation, Karen wears her new red shoes to inappropriate situations; one day, she goes dancing and the shoes won't stop dancing. Her feet must be cut off before she can regain control, and after that she becomes a penitant Christian, sworn to simplicity. Andersen obviously felt quite strongly about red shoes. And while most would agree that vanity can go too far, the punishment far outweighs the crime. While red shoes themselves aren't quite as taboo anymore, the concept of judging people by what they choose to wear is still very prevalent (hello, popular TLC show "What not to Wear"). I feel I'm somewhat qualified to share my thoughts on this subject since I've sort of come full circle on it. When I was little I loved wearing dresses and was a total girly girl. As I went through middle and high school, I considered myself too feminist to pander to the shallow expectations of men that women should only dress in ways that please them. I was already a firm believer in the message of Beauty and the Beast, not to judge by appearances, and I was also very influenced by children's books-including fairy tale stories like Robin Mckinley-in which the heroine is outcast because she doesn't fit into her usually Victorian-like society, but is athletic and outgoing and doesn't care about dressing up. This heroine is always appreciated for her inner beauty by the most desirable male character in the book anyway. While I was in this phase, I totally judged the pretty, popular girls. I realize now, in retrospect, I was jealous; but I assumed girls who wore trendy or dressy clothes were shallow and snobbish. In my protest about being judged, I passed judgement myself. During college I experienced a turnaround. I still believe we shouldn't judge people by shallow standards like appearances, but I realized that I truly enjoy wearing feminine clothes like I did when I was little. For me, putting outfits together is a creative outlet. Since I've started dressing this way, I do occasionally fear people are looking down on me the way I used to look down on others. So, I approach this fairy tale with mixed emotions (this also applies to Beauty and the Beast, in which Beauty contrasts her sisters, who care only about clothes and jewelry at the expense of her father; whereas Beauty cares nothing about material things and instead has love for her father and appreciates roses and other forms of nature-as if these passions couldn't coexist). A part of me is indignant, as well as being aware of the drastic changes in culture and expectations in fashion since Andersen's time. But a part of me realizes I spend too much money and shoes, clothes, and accessories, and that my appearance can become too important to me. And part of me is just defensive of fairy tales, which seem to get so much abuse. How do you interpret this tale? This tale can be read in full here. It is called a Korean Cinderella tale in the book, which is true, but this tale combines the traditional Cinderella plot with the Kind and Unkind Girls plot. Pigling has animal help to accomplish her impossible tasks, just like Cinderella-but the stakes aren't as high. She doesn't wear a fairy's gown and go to a ball; her first reward is to "dress in her plain but clean clothes. She went off and saw the royal banners and the king's grand procession of thousands of loyal men." Then, after her stepsister and stepmother go on a picnic without her, her reward is eating delicious fruit in a field with a black cow as her guide. It is after this that the jealous stepsister wants to trade places; thus is Pigling given money and able to go out into town, where she catches the eye, not of a Prince, but a young man in want of a wife. He was struck by her beauty, but none of the traditional hyperbole typical of Western tales indicating that you have to be a beauty pageant winner in order to win the love of a man. The stepsister follows the cow through a swamp, and returned scratched and with torn clothes "and her beauty gone." One other interesting feature of this version is the father. Generally he is passed from blame, although he obviously had to stand by and allow his daughter to be mistreated. This time the father and stepmother are given equal blame-"It did no good to complain to her father, for he was always busy. He smoked his yard-long pipe and played checkers hour by hour, apparently caring more about having his great white coat properly starched and lustred than for his daughter to be happy. His linen had to be beaten with a laundry club until it glistened like hoar frost." Usually in Cinderella, the father is neutral, the stepmother evil, and the solution is to find a male savior to marry her. This version is more P.C.-the two evil characters of both gender are replaced by not only the husband, but a loving set of step-parents, "who, having no other children but their one son, became very fond of their new daughter." In a lot of ways I find this version more satisfying than traditional Western tales like Perrault's or the Grimms-not that I don't also enjoy the exaggeration of more fantastic plots as well.